Enrique left Spain around 11 years ago. 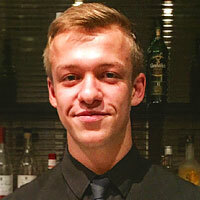 His first experience was as a bar back in Trader Vic's at the Hilton in Park Lane, slowly learning the bartender role. He moved on to joining Roka, Zuma in Knightsbridge and lastly Sticks'n'Sushi over two years ago. 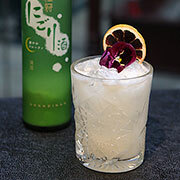 Shake Gekkeikan Nigori with Danish elderflower cordial, and yuzu juice. Finish with a dash of honey syrup. Pour into marni glass. James’ dream was always to work on the bar. Upon finding Matsuri he has been enraptured by the world of Japanese beverages, the intense attention to detail, and the passion that they have for the products. Working around Greece on a couple of islands (Lemnos & Lesvos), and now settling down in London, he has made the finals of the Koko Kanu Miami Vice Competition, and the Clement Ti’ Punch Cup Competition. Shake IKEZO Sparkling Jelly Sake Peach with Black Note Amaro, Portobello Road Gin and dashes of Angostura Biers in chilled shaker for 12 seconds. Serve with ice and redcurrants. 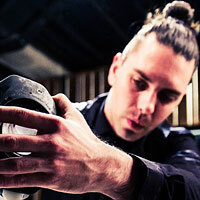 Bringing 21 years of experience to HYPER JAPAN, Maggio’s CV includes stints at the Blue Bar Berkley Hotel, the Cumberland hotel, Morton's Club in Mayfair, The Ritz Hotel London, Shumi Restaurant Ash group, Penny Hill Park Hotel, Chewton Glen hotel and Landmark Hotel London, Baglioni Hotel in London. 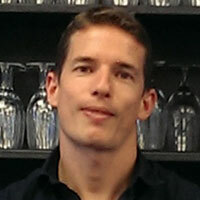 In 2007, Maggio was awarded Bartender of the Year, winning the coveted Galvin Cup first prize in the professional category, along with many other accolades. Shake SHIRA KABE GURA Kimoto Junmai with Cinzano Vermouth Rosso, Joseph Cartron Grapefruit Liqueur, fresh orange juice and Monin Mandarin Syrup. Garnish with red apple and lemongrass. 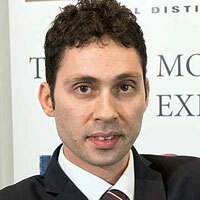 Starting in Rome, Marco has been working as a barman for 8 years. He moved to London 5 years ago, where he worked in leading venues including Momo’s before moving to Chotto Matte in Soho. 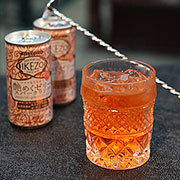 Marco has created his own new innovative cocktails including the Nikkei Old Fashioned, now heralded as top selling drink at Chotto Matte. Mix peach purée, crème de peach, and yuzu juice. 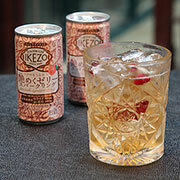 Top up with IKEZO Sparkling Jelly Sake Peach and serve in high ball or champagne glass. A bartender for approximately 8 years. Ariga’s work history includes Rigoletto Bar & Grill in Tokyo. She has won the first prize in the bartender championship for bartenders who work for 10 restaurants in the Rigoletto group. Marie moved to London over a year ago. She now works at WAZEN, a new Japanese restaurant which just opened in mid-October 2015. Her speciality is fruit cocktails. 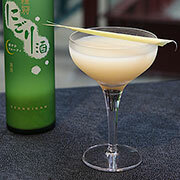 Shake pear, carefully mashed with cordial, with chilled camomile tea in Boston cocktail shaker. Add chilled SHIRA KABE GURA Kimoto Junmai. Serve in old fashioned glass. Mario is an experienced Head Bartender with 8 years’ experience, ranging from working in Palermo to the UK’s second city, Birmingham. He now works at London’s Yashin Ocean House. 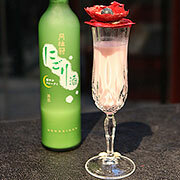 Sr Gekkeikan Nigori with blueberry vodka, raspberry syrup, a touch of Calpico, yoghurt, fresh berries and sugar. Raised just outside of London, Phil has been living in London for 9 years. 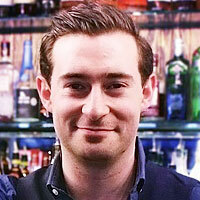 He has taken a leading role in top venues in London and is now an integral part of the team at Chotto Matte. Phil pioneered the Inca Tonka Japanese Manhattan with a secret blend of special homemade bitters. Ryu grew up in Japan and has lived in Sydney for 3 years before moving to London. 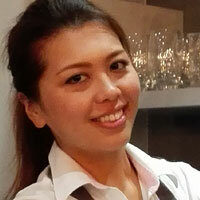 Ryu is an experienced Sommelier and Bar Manager with experience working at a number of top establishments from Tokyo to London. 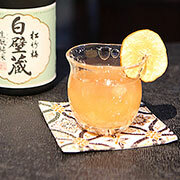 He is now the Director of Kampai Cocktails, (named after the Japanese word for cheers! ), which is a stylish mobile bar that serves impressive and delicious cocktails. 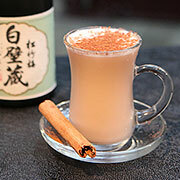 Shake SHIRA KABE GURA Kimoto Junmai with whole egg, castor sugar, toffee sauce, ginger wineand port. Sprinkle of nutmeg to finish. 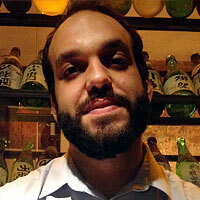 Simon started his bartending career in the late 2000s working in a Japanese restaurant’s bar. 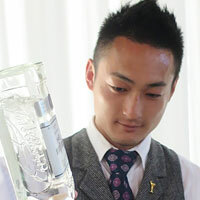 Since then, he has worked for bars including My hotel as well as being the Head Mixologist at Kampai Cocktails. 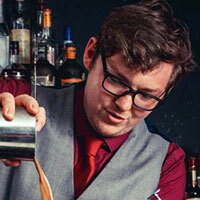 He is also a competitive bartender winning and placing in national competitions including Jameson's, Kraken’s and Midori’s. Simon’s approach to creating cocktails is very raw; accentuating the base ingredient by utilising nature and what is in season. 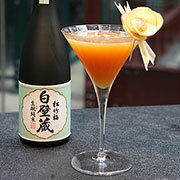 Sr IKEZO Sparkling Jelly Sake Peach with Aperol, gin, cloudy apple juice in whisky glass over cubed ice. Garnish with light sprinkling of cinnamon and apple fan.